THE FIRST of three T20 matches; South Africa vs Sri Lanka kicking off at SuperSport Park on Jan 20, will be nothing but action-packed and interesting. The South African line-up; a bit different from what we’d normally expect – features a good mix of experienced players and talented ‘newbies’. If the recent CSA T20 Challenge won by the Multiply Titans is anything to go by; South African fans are in for a cricket treat. Captain Farhaan Behardien’s calm demeanour and experience will bring a lot to the team. South Africa needs a bigger pool of experienced players to represent them; ensuring that seasoned players are well rested and younger players get an opportunity to shine. Build the future. It’s going to be a fiery baptism for the newbies. 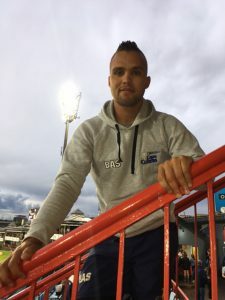 The Buildnat Cobra’s fast bowler Dane Paterson in a recent interview on his bowling strategy said: “Players must not get used to me. I change small things in my bowling approach. Lungi Ngidi (Multiply Titans) makes his debut for the Proteas. 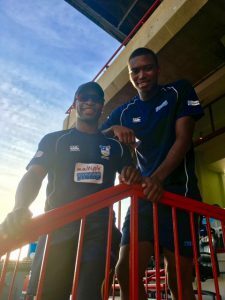 Ngidi’s consistency and bowling pace in the recent provincial matches was instrumental in winning matches an won him a place in the Proteas T20 team playing Sri Lanka. 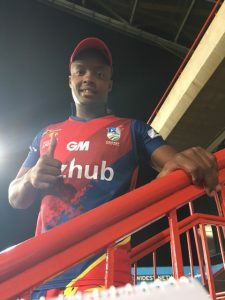 BizhubHighveld Lions Right-hand Batsman Mangaliso Mosehle can be dangerous if not taken out early. 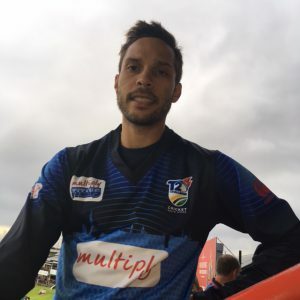 The VBK Knights’s Theunis de Bruyn showed impressive figures with both the bat and ball in his recent matches. Backed up by seasoned players; the newbies will not be short of encouragement or building on their experience taking it to the next level. Get your ticket and join the cricket vibe and fun that SuperSport Park brings. Cosmic Cricket will be there to bring you the low down of what’s going down at SuperSport Park.